Using high frequency high speed sound waves, parts are scanned to gauge their integrity and check for flaws and material characterization. 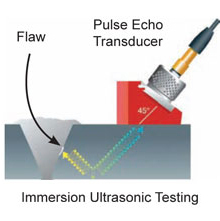 A pulse-echo ultrasonic measurement can determine the location of a discontinuity within a part or structure by accurately measuring the time required for a short ultrasonic pulse generated by a transducer to travel through a thickness of the material. The pulse then reflects from the back or surface of the discontinuity and is returned to the transducer and can identify flaws internally in a part. 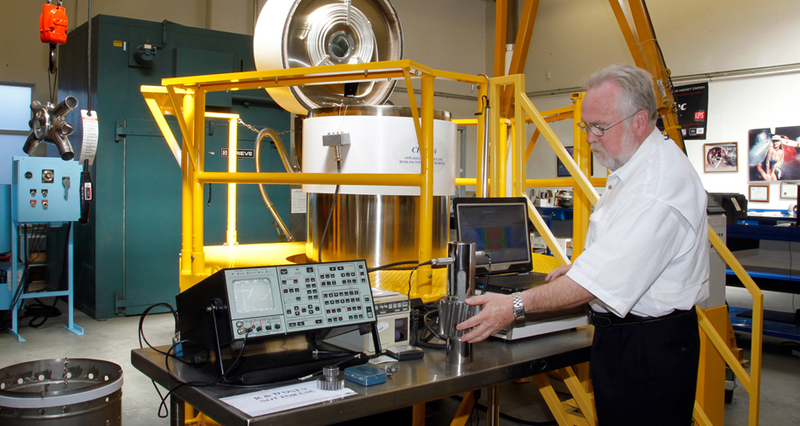 Using ultrasonic high speed velocity testing can significantly improve engine longevity by detecting sub surface flaws that could have developed into future parts failure.